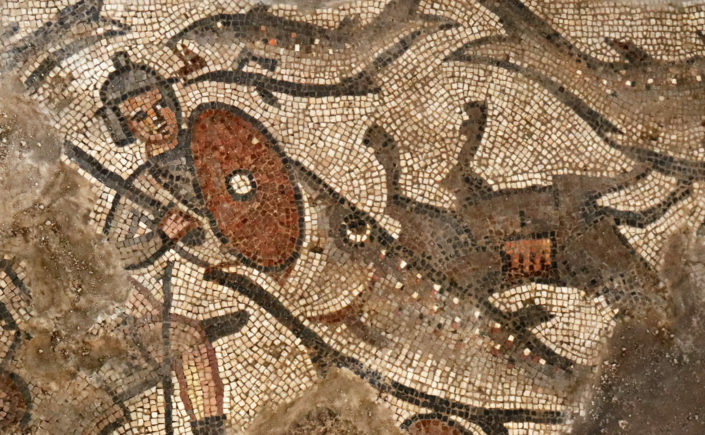 2016 Shohet Scholar Jodi Magness, Kenan Distinguished Professor at the University of North Carolina at Chapel Hill, presents more stunning examples of polychrome mosaics from the pavement of a synagogue in Huqoq, Galilee. The International Catacomb Society is contributing toward the continuation of the Huqoq Excavation in 2017 (link). For further information about the organization and timeline of the Huqoq dig, please visit www.huqoq.org.